The living room is a place we spend a lot of time in and it needs to be ready for a wide range of occasions. 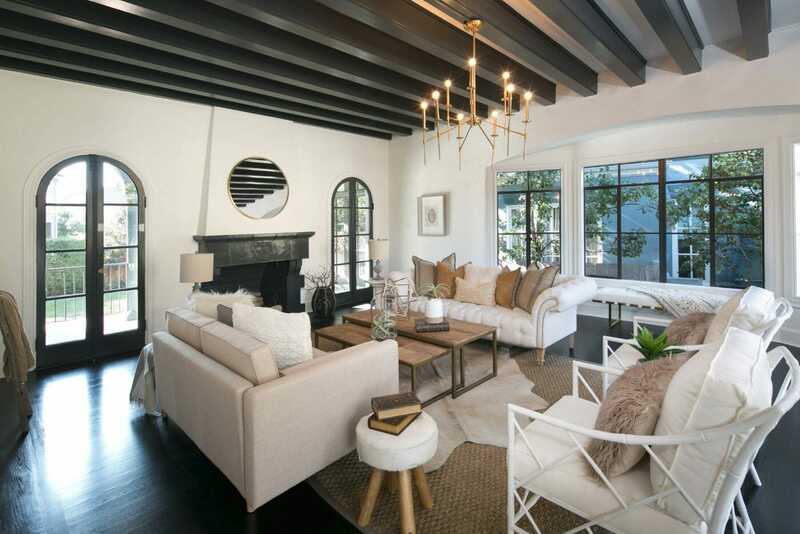 Family time, friendly gatherings, and formal entertaining all end up happening in this room so its design needs to be beautiful and comfortable at the same time. 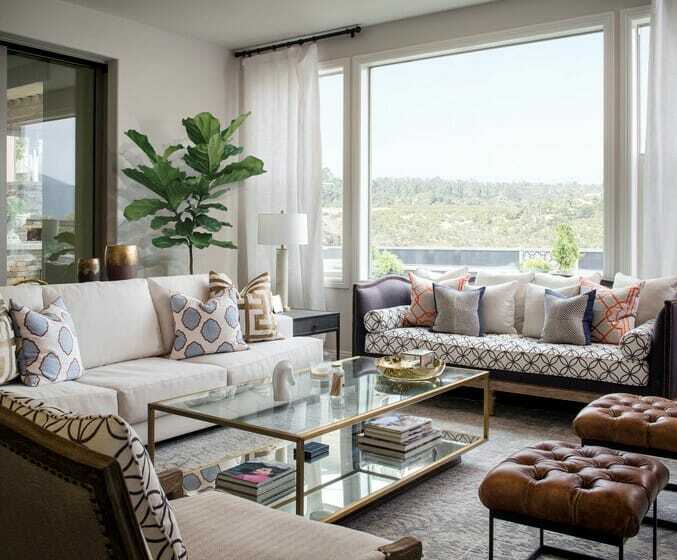 Our top interior designers have rounded up 10 essential tips to nail a living room interior design, so look around yours, and be ready to take notes! If you’re on a tight budget, don’t forget to check out our 6 ways to do a living room remodel on a budget. 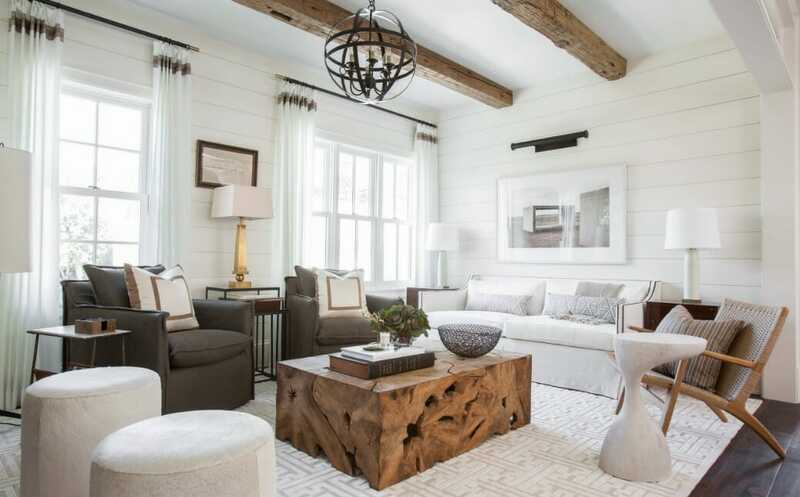 Design by Decorilla interior designer, Amelia R.
Before we jump into the details, it’s worth restating that the number one tip for every successful design is harmony. Indeed, if your living room is full of disconnected pieces collected or received as gifts over time, it will hardly make any sense as a whole. When starting a living room remodel, the first essential is then to have a clear objective in mind. 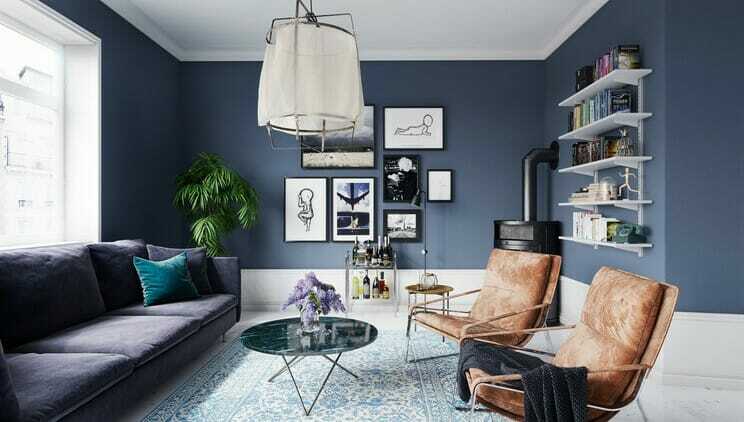 Pinterest is a great source to find plenty of inspiring interiors and come up with a clearer idea of what you want your space to look like in the end. Design by Decorilla interior designer, Hoang N.
Once you’ve rounded up a style and aesthetic, be sure to think about comfort as well! After all, the main objective of a living room is to be inviting, so all furniture (seating in particular) will need to be comfortable and perfect for snuggling! Poufs, stools, floor cushions are all great ideas to give you additional seating when needed. And on a day-by-day basis, they are the perfect pieces to add coziness and pull your color palette together. 4. Don’t be afraid to go big! One of the most common mistakes that are made in small living rooms is choosing furniture that is too small. While it is important to keep proportions in mind (and a giant sectional may not be ideal in a teeny tiny living room), you also don’t have to go too small. Even if it may seem counter intuitive at first, one big piece of furniture will ground the space and visually enlarge the room as opposed to many smaller pieces…try yourself! 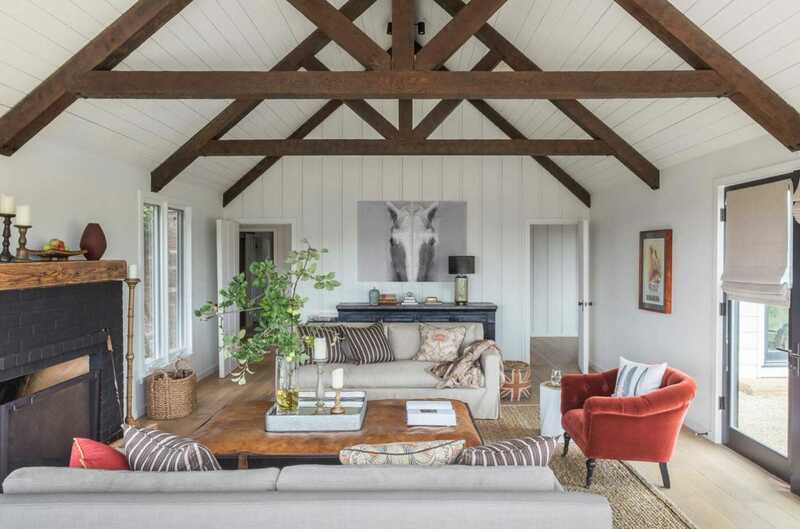 With the objective of making the space cozy, textiles are definitely your friends. Soft rugs, puffy cushions, warm blankets. 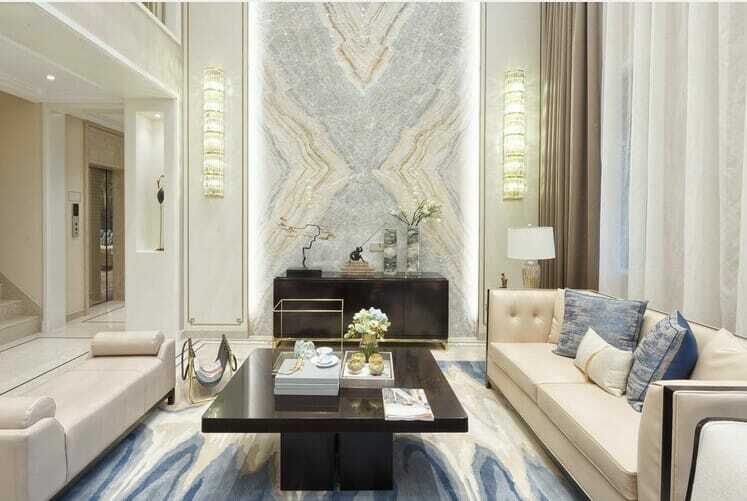 All these elements will give your living room interior design a unique personality and make it way more inviting. Design by Decorilla interior designer, Tiara M.
This is an easy one, and really applies to all rooms. But plants really do add life to a space and are helpful in decorating, allowing to fill forgotten corners and complete vignettes. And if this was not enough, some plants also help to clean the air from indoor pollution! Natural sunlight is always good to give life to a room. So leave your curtains open during daytime and enjoy the most flattering kind of light! Make sure to plan your lighting strategy in advance and account for several options. General ambient lighting, a spot with more intense lighting for reading, diffused soft lighting are all good to have in a living room! Dimmable bulbs are a great tool here, as they give you the flexibility to adjust your lighting to every situation. If your living room interior design is feeling bland, one easy yet very effective strategy is layering! No matter if you add cushions on the sofa, accessories on various surfaces or rugs on the floor…these superposed textures will make the space interesting and alive! 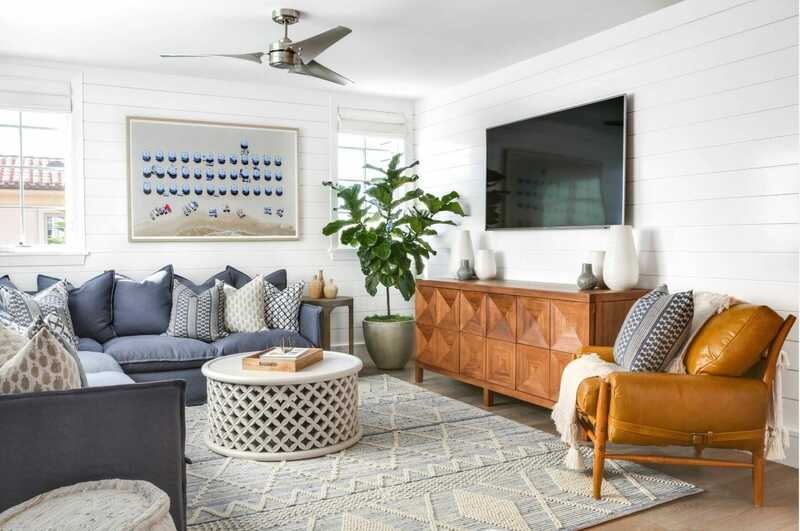 With so many tips on what you should change in your living room design, you’ll probably be tempted to ditch a lot of what you have and start all over. Don’t do that! Instead, start by making a list of things you want to achieve and then look at what you already have. 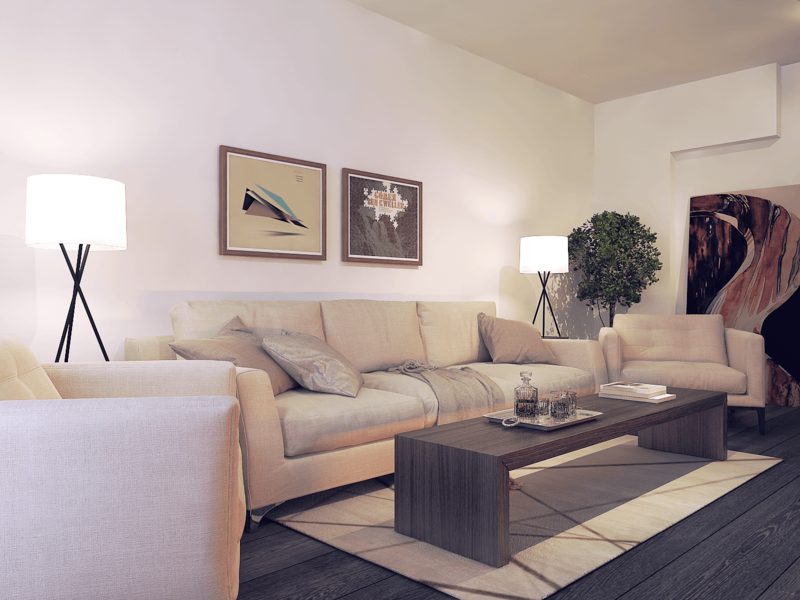 A coat of paint, reupholstering, moving things around can give new life to what you already own…you’ll be surprised but a good portion of your new living room design may already be around you! Looking for a professional and affordable help? Decorilla interior designers are waiting! Get started today with a free online interior design consultation!